Sporting history is littered with many memorable chokes. In 2001 the Parramatta Eels strolled into the finals only to be stared down and humiliated by Newcastle. The score at half time? 24-0. In 2006, the English Ashes team rolled back into town still clutching the fabled urn. On the fourth day, the Brits were up 107 runs; the end result was a six wicket defeat to the English Test team. Then there’s Greg Norman who … well, could choke along with the best of them. But then there’s also Matt Wood at the 2015 Volvo Drivers’ Fuel Challenge. The English Ashes side came into the 2006 series as a firm favourite and choked. Parramatta looked unassailable yet choked. Greg Norman was at risk of choking on his breakfast on any given day if he wasn’t careful. I attended the event with the benefit of having had one-on-one driver coaching with Volvo’s Driver Development team. Not only that I’d clocked up a week on the road with my very own FH16 during the Clash of the Titans drive. During that drive, I’d even managed to score 100 on the Dynafleet driver app. But in the fuel economy stakes at the Drivers’ Fuel Challenge, I choked like a dog on a chop bone. There were, however, some nefarious tactics employed among the media as well as others. Ground down boot soles, barefoot driving, and the inexplicable wearing of micro-fibre underwear by one of the media contingent were just some of the tactics used to gain a fuel economy edge. There was even one individual I suspected of having a full body wax to maximise their aerodynamic coefficient. 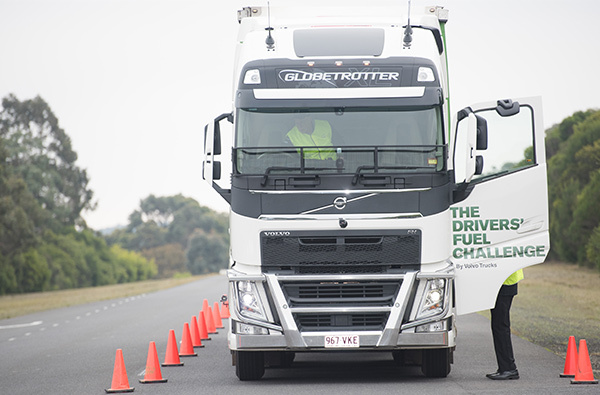 The Australian Automotive Research Centre (AARC) nestled among the gumtrees near Anglesea, Victoria was the perfect, if chilly setting to see Australia’s most fuel efficient Volvo drivers battle it out in the fuel economy stakes. Ten finalists selected from regional competitions had the chance to put their right foot on the line and represent themselves and their employers at the event. The competition trucks were identical FH13 Globetrotters and are a pretty good representation of a typical fleet spec prime mover. 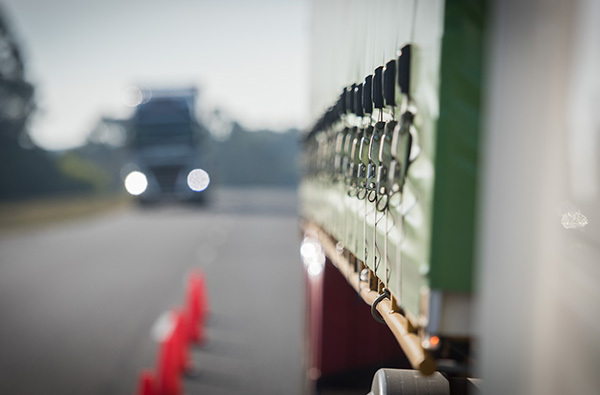 Results were monitored by Dynafleet telematics and the top secret tally was kept under wraps within the mystery of the on-site demonstration trailer. Bleary eyed media participants were bundled out of bed early to face the Victorian winter dawn in preparation to put their best foot forward. After a safety briefing (don’t speed, don’t hit anything etc.) it was time to hit the track. Last year, 11,000 drivers from around the globe competed for a chance to attend the world final in Sweden. 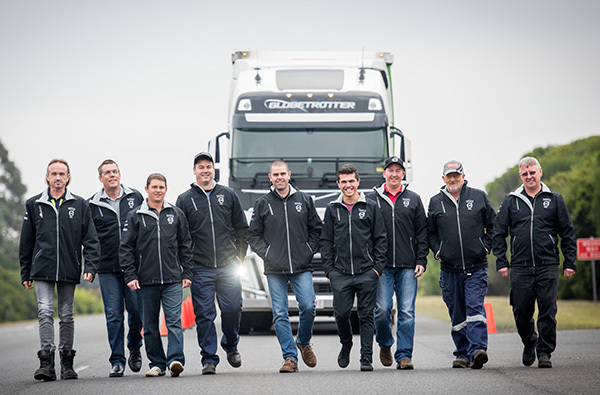 Australia’s Scott Harvey from SRH Milk Haulage took out the Asia Pacific title and came fourth overall in the global competition. This year the media too were also in the mix. Volvo Trucks Australia vice president Mitch Peden spoke of the value of this event and the flow on effects and benefits to the transport company’s represented. "Driving style has a major effect on fuel efficiency, and this event clearly proves to the world that every drop counts," Peden says. 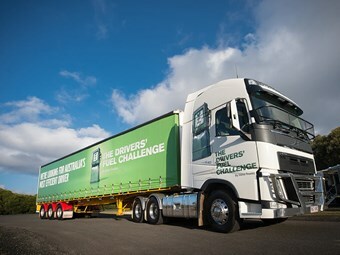 "Our customers who’ve applied the fuel-saving driving techniques from the Challenge have seen fuel savings ranging from 10 per cent to a massive 30 per cent. 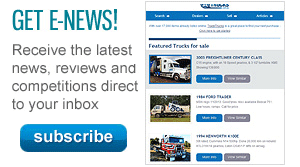 "Multiply that across a fleet and, even with fuel prices falling, you can see that it has a major impact, both on profitability and emissions. "We see ourselves as business partners with our customers, so anything we can do to help them improve their business is a win for both of us. 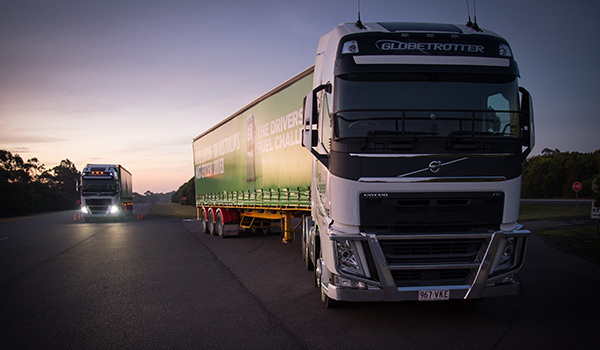 "The Drivers’ Fuel Challenge is just one of many ways Volvo Trucks is generating better business outcomes. "We’re driving progress where it counts: in transport companies and we can’t wait to support our customers in finding out just how fuel efficient they really are." With all this perceived wisdom still echoing in my ears, I climbed into the cockpit of my FH for the first lap of the circuit. Once logged in to Dynafleet it was time to flick the ignition key and get moving, efficiently. I had 15 minutes to complete two laps of the circuit which meant no driving like Miss Daisy. However concentrated use of the FH’s I-Roll function and reading the terrain and road surface was going to be, the only way to claw back some precious litres of fuel. The sensitive New Age truck driver in me would say that I caressed the accelerator pedal gently as I rolled around the track surface. I tried to harness gravity and momentum where I could by using I-Roll though there were a couple of downhill sections that needed some braking to keep it safe. Keeping the tacho needle in the green on the long climb proved a challenge as well as keeping an eye on the turbo boost gauge. More boost equals more fuel. The wash up was that I managed to coast along for 39 per cent of the course. My first crack at the title returned 47.57 litres per 100km versus my second go at 47.43l/100km. So my average for the entire event was 47.50l/100km. Blame it on nerves or just plain overthinking it but at least I improved on my previous effort and didn’t turn it into a drag race. But then it was time for the real truck drivers to have a go. As the cold afternoon wore on, the 10 finalists did their level best to reduce their dependence on dinosaur juice. The results were revealed at an awards dinner that evening. The overall winner turned out to be Scott Chandler from Connect Trading Transport who managed to get 42.53l/100km out of the Volvos. Runner-up was Anthony Mansell of AJM Transport with 44.15l/100km and the top three was rounded out by Glen Goldthorpe from Caltex with 44.42l/100km. There were also other honorable mentions, most improved went to Steve Wastell of Blu Logistics who managed a 16 per cent improvement from his first to second drive. Terry Thompson from BGC Transport spent nearly half of his time behind the wheel coasting at 48.2 per cent. 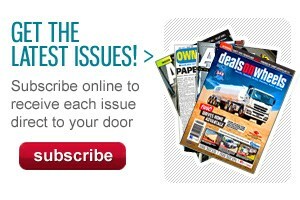 The editor of a competing magazine took out media honours so he clearly cheated. In fact, I’m sure I saw him surreptitiously stick a large magnet to the bell housing of the truck he was driving. The only satisfaction I gained was nicking his trophy while he wasn’t looking later in the evening. So in the meantime instead of economy driving I’m thinking of taking up a nice relaxing, environmentally friendly game, such as golf. It can’t be that hard can it?